In this day and age, vitamin B12 can be notoriously difficult to come by on a vegan diet. But now, researchers at the University of Kent’s School of Biosciences have made an important discovery about how the B12 content of plants can be increased. Vegconomist spoke to Professor Martin Warren, leader of the team of researchers, to find out more. What significant discovery did you make about how the vitamin content of some plants can be improved? Can this help to overcome the dietary limitations of vegan people? We found that some plants – in our case cress – can absorb vitamin B12 from their growth environment. The more B12 we added to the growth medium the greater the amount of the nutrient that we found in the plant. Although there had been some previous reports that some plants can absorb B12 from their growth surroundings, the presence of B12 could have been due to contaminating bacteria. In our experiments we grew out plants in bacteria-free conditions – and looked for the presence of B12 within the leaves. Our results demonstrated that cress can indeed absorb B12. This is a good starting point since previously many people had thought that plants do not take up B12. One of the key nutrients missing from a vegan diet is B12 because plants neither make nor require the nutrient. By finding ways to improve B12 uptake – or by growing plants with bacteria that make a lot of B12 – it may be possible to grow plants that have enough B12 for human consumption. At the moment we are at the proof of concept stage – that is, we have demonstrated that it is possible for some plants to absorb the nutrient. 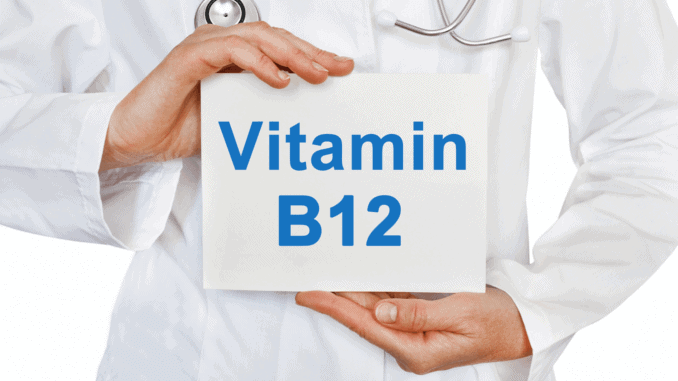 We achieve B12 uptake in plants by feeding the plants a lot of B12. We do not understand the molecular processes underpinning the absorption process – that will take time to investigate. At the moment it would be more efficient to give patients B12 directly rather than from plants fed with B12 – but as the process is refined and improved it is our hope that plants could absorb a lot more B12 – e.g. by growing them with safe bacteria that make a lot of the nutrient. This is likely to be extremely important is countries such as India where there is a large vegan population and where B12 deficiency is a major problem. Can this procedure be used for other plants? Which ones? We have not investigated this but we are hopeful that many different plants will have this ability to absorb the nutrient. Has the vegan industry already contacted you?